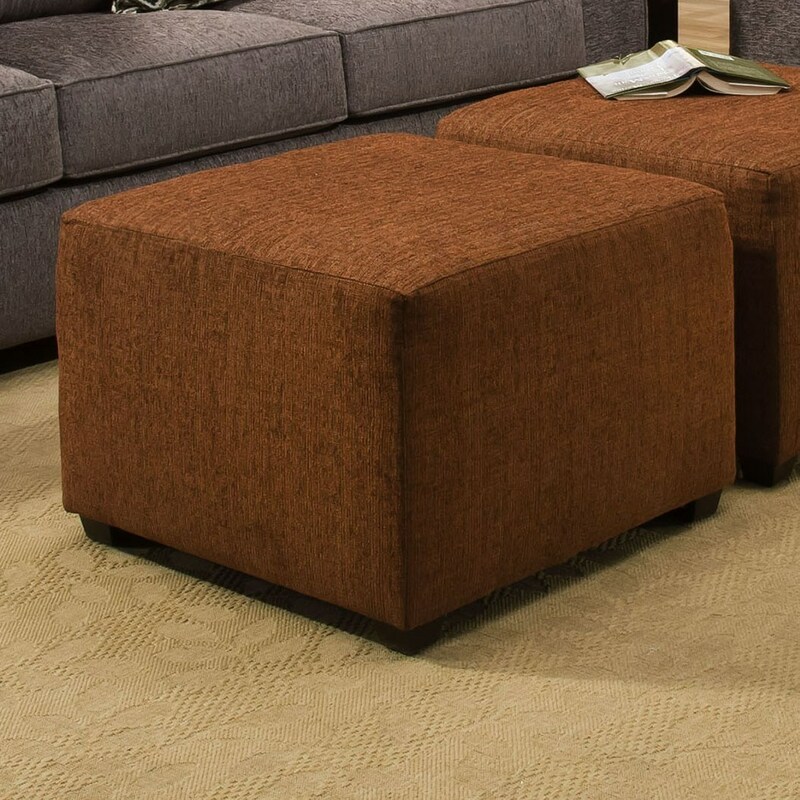 The 7077 Transitional Cube Ottoman by VFM Basics at Virginia Furniture Market in the Rocky Mount, Roanoke, Lynchburg, Christiansburg, Blacksburg, Virginia area. Product availability may vary. Contact us for the most current availability on this product. Refresh your living room look with the style and comfort of this transitional collection. Wide track arms along with plush seat and back cushions create the versatile transitional style that will blend with decor from casual to contemporary. Complete with coordinating throw pillows, you can't go wrong with this collection. The 7077 collection is a great option if you are looking for furniture in the Rocky Mount, Roanoke, Lynchburg, Christiansburg, Blacksburg, Virginia area. Browse other items in the 7077 collection from Virginia Furniture Market in the Rocky Mount, Roanoke, Lynchburg, Christiansburg, Blacksburg, Virginia area.